I am saving two components using CI. i want to roll back the first saved component if the second ci failed to save. 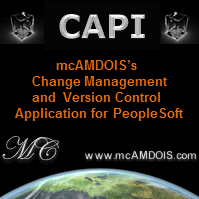 I am using two CI's to save the two different components(one for Hire and one for termination) in Peoplecode. If the second CI failed to save,first CI should be rollbacked. Please let us know, how can i achieve this. If the second CI fails, can you call a delete to remove the corresponding data in the first CI? Basically, if you were to do this manually through the components, what steps would be involved in removing data from the first CI and can these occur programatically?